The Gifts, was original published in 2006 by Echelon Press and is now available on Amazon Kindle and PC download. Runner up in the International Preditor's and Editor's Contest for the best novel of 2006. Nominated for The David Award. Linda S. Prather gives us a wonderful first novel! I am constantly amazed at the quality of books being submitted for reviews by new authors. 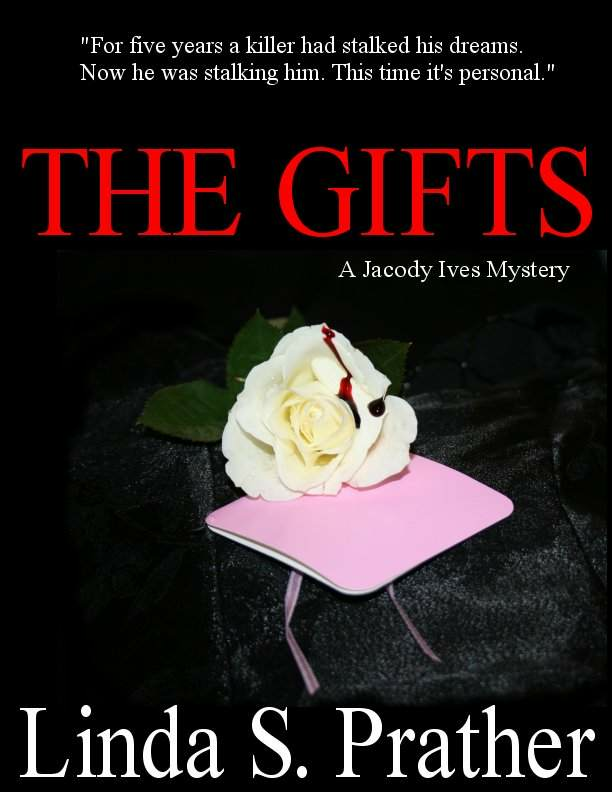 I wholeheartedly recommend The Gifts: A Jacody Ives Mystery to lovers of mystery and suspense. 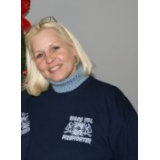 Prather is interested in and has studied metaphysics, delved into touch healing, dream analysis, meditation, psychic phenomena and hypnosis with a degree in metaphysics. She is now a Certified Clinical Hypnotherapist. With this background, she provided two benefits in her book. One is that she talks about “gifts” as part of daily conversation. This makes her writing much more fluid and knowledgeable and thus more enjoyable to the reader. Second, she brings characters into play with little emphasis on these gifts. The story is suspenseful and action-packed, and some of her characters just happen to use their gifts to help solve crimes. Little emphasis or mystique is applied. I found this, perhaps, more intriguing than those authors who are bringing together these individuals into special “groups” who then can apply their special gifts to resolving crimes that nobody else can. It isn’t that I don’t like these others, because I do. I just found Prather’s approach a little more sophisticated and perceptive. 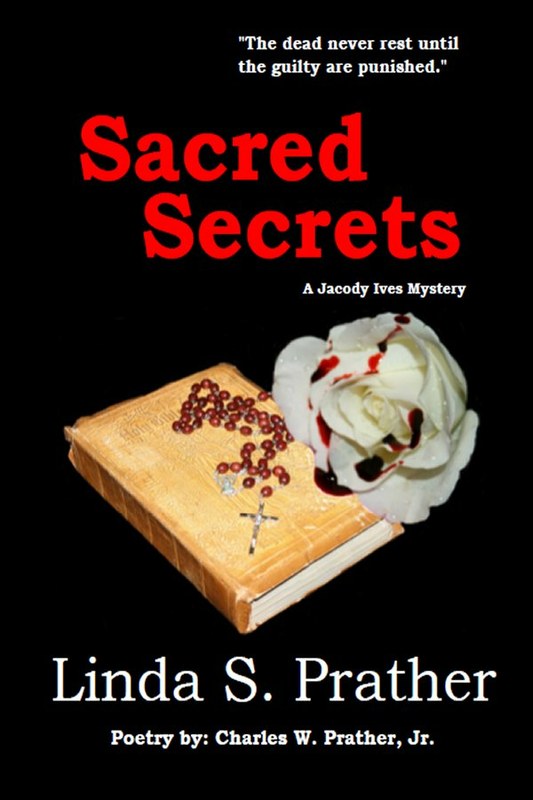 Jacody Ives is a master at uncovering secrets. So is the man who wrote under that name, Gavin McAllister. One of the secrets that had been uncovered was that Gavin had been a twin at birth, but they had been separated and adopted by two different families. The first twist is that Corrine, his sister, had met her adopted brother and had fallen in love with Gavin’s brother. As happens nowadays, Gavin’s sister was going to marry his brother. But, before that could happen, Corrine (Cory) was murdered. And, so, this time finding out the secrets of the murder was personal…and became even more so! Gavin discovered that he would have to use all of the skills and gifts that he had given to Jacody Ives in order to work through the madness he would encounter. Gavin’s brother, Rob, was completely broken by Cory’s torture and murder but in the midst of this turmoil, Cory “appears” to Gavin and sends him, not only on the trail of her murderer, but to save the life of a young girl. Torn between the two, Rob’s partner and close friend to both of the boys, Carl Jackson, promises to be there for Rob. Gavin goes to where he had been sent by Cory’s ghost: Glade Springs, West Virginia. “The Mother’s Day Killer” had entered many lives. He had once had a lover and in her law enforcement position, she had helped to put him in jail for a long time. But because of her involvement, she and her daughter were moved into the witness protection program. They now lived in Glade Springs, West Virginia. Ghosts, dreams, and visions have become part of every day for a number of people. Why? Because murders are occurring. They repeat the horrendous actions of the Mother’s Day Killer…and now he’s letting them know that “every day” is Mother’s Day! What has happened? Has the killer been released from prison? Did they convict the wrong man? And why is everything happening in Glade Springs? Could a ghost really lead the way to solving these crimes? One thing is certain, she’s there to help protect the little girl, but even ghosts need help! You got it! This mystery keeps the pages turning! In the back of your mind, you are trying to figure out whether it’s the pastor, the deputy—just who is the killer and how will he be stopped? During all the danger, Gavin finds he is attracted to the Sheriff, Sarah, and also that her daughter has won his heart. He comes to believe that this little girl is the one Cory sent him to save. If he’s going to be able to do it, he’s going to have to become a real-life Jacody Ives! Prather’s characters become real to you—even the ghost! Her story is well developed and sufficiently complex to keep you wondering all the way to the end. The ending has both happy and sad results, but what better way than to have characters who are true to life. I’m hoping that Prather brings Jacody back to us in the future. I’ll be looking for her next book, and her next book and the one after that…hey, buy The Gifts! You’ll love it!